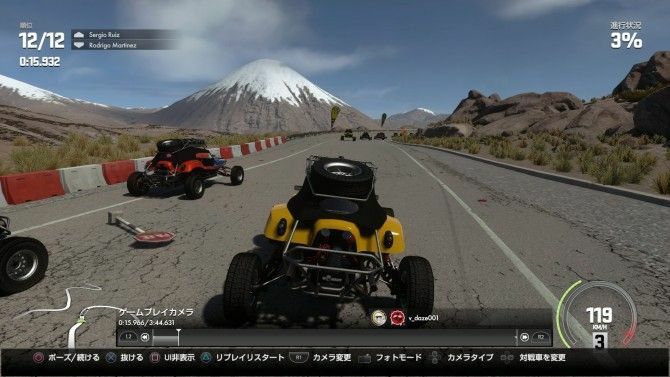 Sony Computer Entertainment Japan and Asia released exclusive screenshots showcasing the replay mode of Driveclub, which will be released with a new patch. The photos focus on the various cameras we’ll be able to use while viewing our replays. » Adds Replays to the game for all Single Events and Tours. You can now save a Replay at the end of any single player event and view it later from the Replays section. » Photomode can be used from within a Replay at any point. » Introduces a new Driver Level 50 reward: You can now unlock the Ferrari 599XX Evoluzione for your Garage! » Refines Drift Mode scoring to increase the points scored for momentum, control and staying on the track. » Adjusts the drag reduction when veering off road, so that accidentally leaving the track slows you down more gradually. » Adjusts the drag penalty on world collisions, to remove the possibility of gaining any advantage after colliding with a wall. » Adds the option to control screen brightness in-game (new Display Option). » Adds the option to change the volume levels on individual SFX channels (new Audio options in Settings). 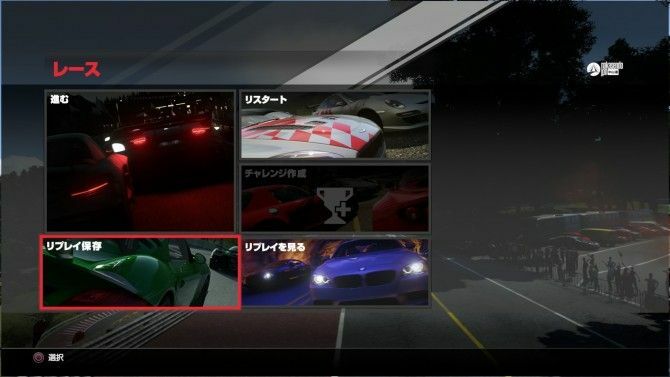 » Adds the option to make the AI opponents in a Single Event drive in the same car as the one the player chooses. » Adds the option to select factory paint jobs for AI opponents (new Display Option). » Removes the voicechat icon for any player you have chosen to mute in Multiplayer while you are driving. » Adds new categories for downloaded Livery Packs within the Bonus Designs in Customisation. 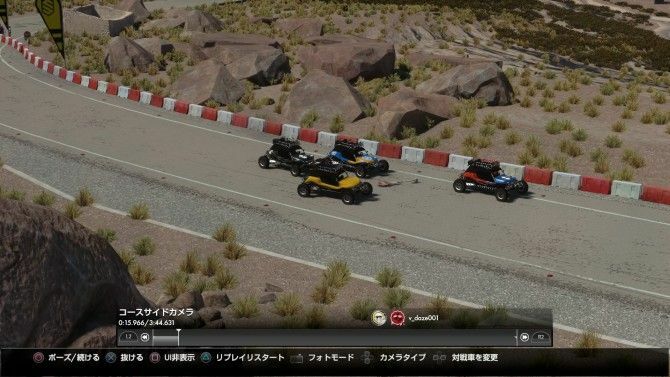 » Adds status information about friends playing DRIVECLUB™ to the Social Hub. » Immediately centres the camera view behind the car automatically whenever you reset to the track. » Adds support for live streaming via Twitch and Ustream while playing Multiplayer. » Improves the atmospheric visual effects further by improving heathaze and introducing mirages, which are visible on the road when light is refracted by hot air. » Includes more minor bug fixes, performance improvements and usability tweaks. 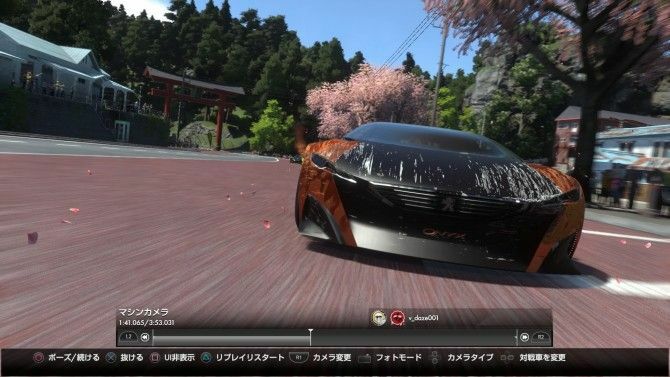 » Adds support for the Peugeot Onyx Concept, coming to PlayStation®Store as a free download. » Adds support for the Lamborghini Expansion Pack, coming to PlayStation®Store as a premium/Season Pass add-on. 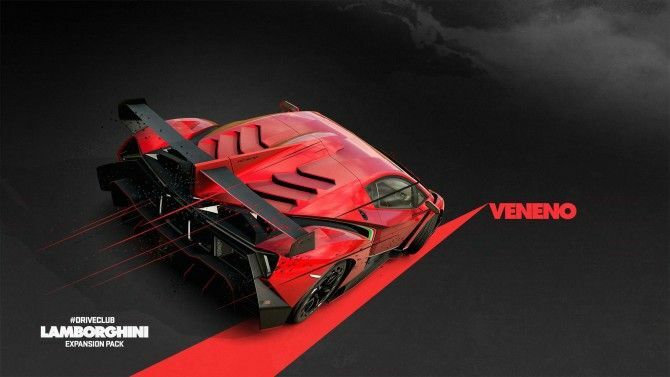 » The Lamborghini Car Pack includes: Lamborghini Aventador LP 720-4 50° Anniversario, Lamborghini Huracán LP 610-4, Lamborghini Gallardo LP 570-4 Squadra Corse and Lamborghini Veneno. » The Lamborghini Tour Pack includes 10 new Events and 5 new Trophies. » Adds support for the Pacesetter Tour Pack, coming to PlayStation®Store as a premium/Season Pass add-on. » The Pacesetter Tour Pack includes 12 new Events and 5 new Trophies. » Adds support for 2 new livery packs, coming to PlayStation®Store as a premium/Season Pass add-on. Each Livery Pack contains 5 new livery patterns to customise your cars with. » Replays for Multiplayer races: these require further development and testing and will come in a future game update. » Lots more cars: We're only half way through the Season Pass that runs to July and we have many more commonly requested cars and manufacturers coming to DRIVECLUB! » New ranks: because many of you are at Level 50 already. In the mean time, please enjoy exclusive access to the Ferrari 599XX Evoluzione as a reward for your dedication and success. » Additional audio options for cockpit camera.